With autism on the rise, science is on the hunt for answers. New research at Children’s Hospital Los Angeles looks at autism in a different way. This study was supported by National Institute of Mental Health grant R01 MH089582 and funding from Children’s Hospital Los Angeles and the University of Southern California. 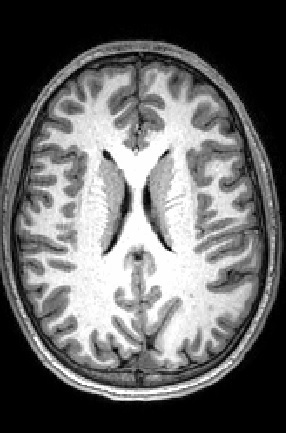 MRI of the human brain. Brain cells, or gray matter, can be seen wrapping around the folds of the brain. White matter, composing a large part of this image, connects brain cells and allows them to communicate. Image courtesy of Dr. Peterson, CHLA.